Back in the end of January, I ran an experiment to find out how long does it take to rank on page one. In the post I stated a goal of trying to rank a new website and business on page one within two months. Bold, I know. The reason for such a short time frame was due to the fact that I had purchased an old keyword rich domain for my mother’s Victoria BC bookkeeping business. I wanted to see if that alone was enough to get a website ranked on the first page faster than normal. The keyword rich domain was owned by another bookkeeping company in Victoria but they decided to change their domain to a branded one. Since the domain was old, it had some trust built up with Google and contained a keyword, so I figured it would take less time to rank on page one. That hasn’t been the case organically. As you can see by the Bright Local search rankings, the website isn’t ranking within the top 40 organic websites. I’m going to plug how great the Bright Local software is for showing how to track search engine rankings. Plug over! Interestingly enough, the Google Local/My Business page ranks already on the first page. But that doesn’t count as the goal was to have the website ranking on page one, not the Google Local page. This is a experiment and experiments are about discovery. 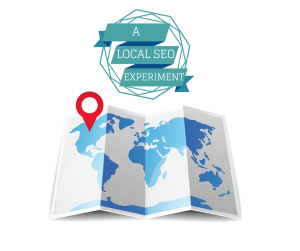 My discovery from this experiment is something I alluded to in my seven trends for local SEO success in 2015 post. What is this discovery? When the website was created, we added seven blog posts relating to bookkeeping and common questions my mom gets asked. That didn’t help and to be honest, things have been really busy so no more content had been added to the site. That was until this past weekend when we added seven more pages to the website. These pages haven’t made a difference to the rankings yet. But this strategy has been extremely successful for our other clients. In my blog post on seven trends for local SEO success in 2015, I mentioned you should create blog posts and webpages where you answer common questions. This is one method of creating more content. 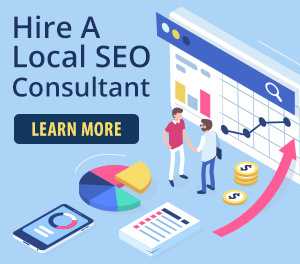 Since that post though, I’ve had a consultation from another local SEO. In the next blog post, I’m going to reveal the tip and what types of pages and content need to be added to your website to increase its search engine rankings. Make sure you sign up for our email list so you don’t miss that post because as I mentioned, we’ve seen some great results implementing this strategy into our content marketing. Until that post, out rank your competition!